Property sale will include 1.8 acres 199-082-02 being subdivided for total of 2.447 acres CALL AGENT FOR DETAILS.Home being as is. MLS#3494567. Lake Wylie Realty. The Sanctuary - Watch a movie in the Home Theater or walk across the street to 'The Camp' for tennis, large terrace with fire pit, walking trails, over 1300 acres of wildlife preserve, kayaking, or boating on Lake Wylie. All 30 minutes from Charlotte! MLS#3489018. Marion Appraisal LLC. The Sanctuary - An entertainers delight in an exclusive wooded lakeside oasis on lake Wylie! MLS#3491383. Home Team Pros. Allison Creek Estates - Come and see this beautiful home. MLS#3492046. Keller Williams South Park. The Palisades - Convenient location close to restaurants and shopping. Make this home yours today! MLS#3479269. Carolina Real Estate Experts The Dan Jones Group I. 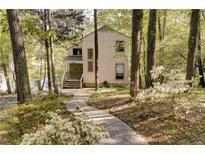 Harbor Club - Home is steps away from community boat slip, accessing Lake Wylie, where you can watch the sunset. MLS#3491890. EXP REALTY LLC. Boatshore - This home is hard to find and won't last long! MLS#3492919. Better Homes and Gardens Real Estate Paracle. The Palisades - This home shows like a model home! MLS#3492378. Allen Tate Ballantyne. Somerset At Autumn Cove - With this home there is no shortage of comfort, on a cul-de-sac road, being situated on a large corner-wooded lot, you will enjoy privacy and relaxation, maybe while sitting on the front or back covered porches. Welcome Home! MLS#3491409. Better Homes and Gardens Real Estate Paracle. There is an additional bedroom with a full bath on the main floor; convenient for guests or converting to a master on main. MLS#3490280. Costello Real Estate and Investments.